Oil India Ltd and Indian Oil Corp (IOC) have withdrawn from the race to acquire Gulfsands Petroleum Plc. This move from both the companies come after the UK-listed firm refused the Indian firms request for due diligence before making a firm offer. The OIL Director (Finance) T K Ananth Kumar said that the request for due diligence was made on basis of which a revised offer could be made by the OIL-IOC was rejected by the Board of Gulfsands. Therefore, now OIL-IOC will not make a revised offer, he said. 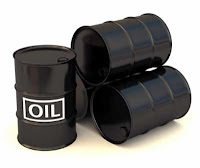 Last week OIL-IOC together had made an offer of 381 million pound but the offer was rejected by Gulfsands.